Last week was a busy week in Verona because the who’s who in the wine world came to Romeo and Juliet’s historic city for the Anteprima Amarone. As you may have deduced, Anteprima is a sneak peak at the just-released vintage, which this year for Amarone is 2014. But…. and this is a big but…. 2014 was a disasterous year in this part of the world and many quality producers chose not to make an Amarone. The brave souls who came from all four corners of the world were secretly asked “but you’re not really going to drink and actually rate that, are you?” by the local wine trade. Despite there being a bad year here or there, Amarone doesn’t need any help to be sold. Exports to Germany (its biggest market) are up 30%, + 15% to China and Japan, + 10% to the USA. 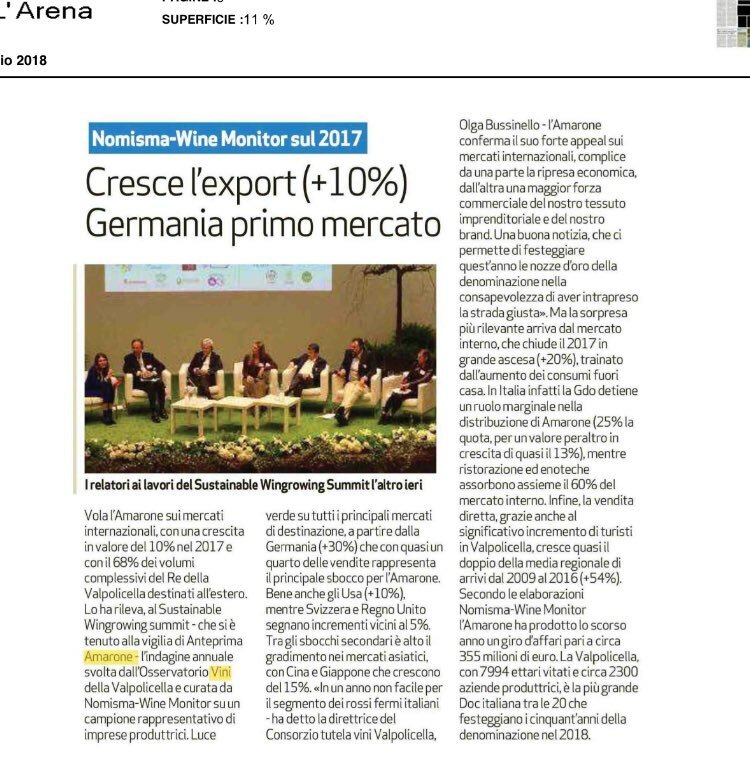 Nomisma Wine Monitor reckons that the total value of Amarone sales in 2017 was an eyewatering 355 million euros (as reported in the local newspaper, link here.) Today, I wanted to stay in the Valpolicella region but to talk about something a little different: the most recent vintage from Terre di Pietra. This might be a rather strange thing to say out loud but I prefer tasting entry level wines. A winery’s entry level gives me a better idea of the personality and the spirit of its other wines. High-end wines tend to be rather monotonous – mostly fruit forward, barrel aged, full bodied – but a base wine is more revealing and more telling. Also, if you are capable of making a good base wine, now we’re talking! Terre di Pietra is a relatively recent winery, based in the eastern section of the Valpolicella region. 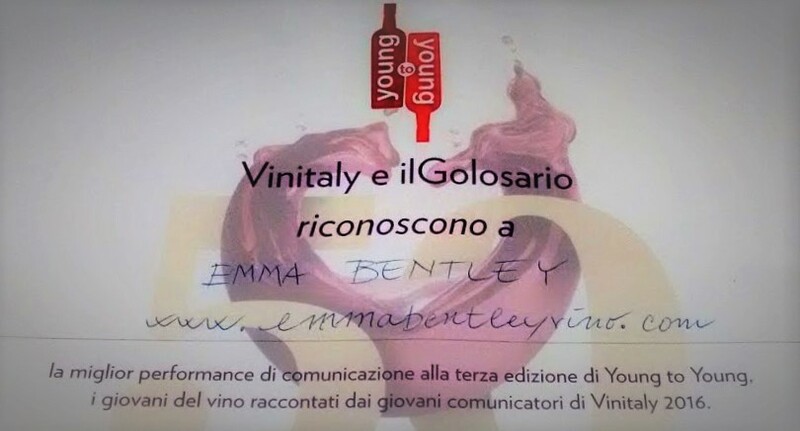 It started off in 2005 when a talented, passionate woman, Laura Albertini, just 25 years old, was given a bit of garage space at her father-in-law’s house in which she could make wine. Her own father had pushed her into a degree in chartered accounting and wanted her to lead a ‘conventional’ life. She, however, had her own mind. It took 5 years to convince her father but finally, in 2010, construction started on a fully equipped winery. The first vintage at this new magnificent winery in Marcellise was in 2011. She was widely touted as one of Valpolicella’s upcoming winemakers to watch. This story has a tragic twist because Laura died suddenly in March 2017. In the past year, her widow, Cristiano Saletti, has had to wrangle with the loss of his wife whilst also making important decisions about the future of the winery. I managed to get my hand on a couple of barrel samples from 2017. This, therefore, is the first vintage of Cristiano calling all the shots. but it should be said that he was given a helping hand by reputed oenologue, Franco Giacosa. I wanted to get a taste of the direction that the winery was heading. Initially, the most striking thing is its colour: a beautiful dark pink, reminiscent of wild raspberries or the ideal tint for a trusty, go-to lipstick. Aromas are vinous, spicy and inviting. Lots of morello cherry. One sip becomes two and two sips become three. I catch myself reaching for the bottle and refilling my glass. Of the barrel samples that I tried (and there were several) this is my favourite. There’s nothing pretentious or out of place about it: very light, bone dry, easy-drinking, and despite having been such a hot, parshed year, it retains an amazing amount of freshness and minerality. Based on the previous vintages, I get the feeling that Cristiano will be continuing along the natural path that Laura started and maybe taking it even further. Time will tell. I imagine the wine will be released for sale in the springtime. It’s wonderfully juicy and definitely up there on the drinkability level with the Poulsard that I wrote about last week. Served slightly chilled, it would make for perfect summertime drinking. Retails for around 10-14 euros.